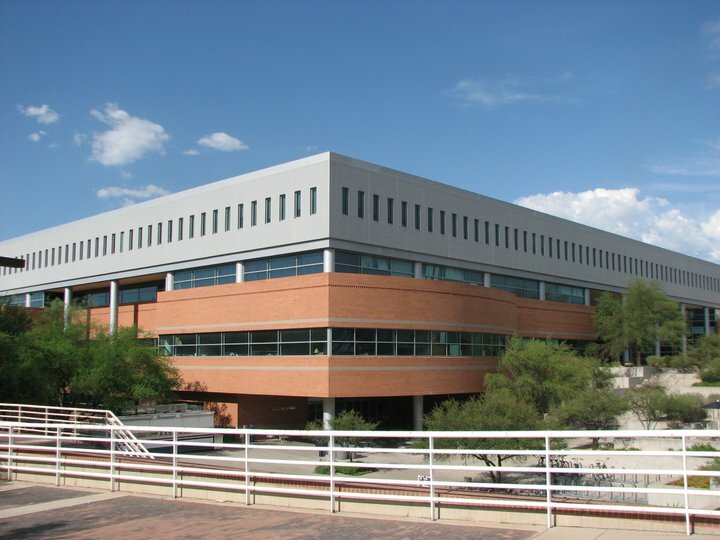 The Eller College of Management at the University of Arizona is internationally recognized for pioneering research, innovative curriculum, distinguished faculty, excellence in entrepreneurship, and social responsibility. U.S. News & World Report ranks the Eller undergraduate program #14 among public business schools and four of its programs are among the top 25 — Entrepreneurship, MIS, and Management. U.S. News & World Report ranks the Eller MBA Full-Time program #57 in the U.S. The College is a leader among the nation’s business schools in generating grant funds for research. In addition to a Full-Time MBA program, the Eller College offers a Professional MBA program and the Eller Executive MBA. The Eller College of Management supports more than 5,000 undergraduate and 600 graduate students on the UA campus in beautiful Tucson, Arizona. Eller admissions officers seek candidates with a strong academic background, professional experience that demonstrates progress and the desire for challenges, leadership potential, and integrity. All applicants must submit two copies of official transcripts for all post-secondary academic work, an official GMAT score report, a professional resume, ...Eller admissions officers seek candidates with a strong academic background, professional experience that demonstrates progress and the desire for challenges, leadership potential, and integrity. All applicants must submit two copies of official transcripts for all post-secondary academic work, an official GMAT score report, a professional resume, two professional letters of recommendation, and two comprehensive personal essays (and a third for scholarship applicants). Interviews are required but are scheduled at the request of the school only; in other words, only those who make the first cut are asked to interview. International applicants must meet all the criteria above and submit TOEFL scores (if English is not their first language), official transcripts and two copies of their diploma(s) (translated by a recognized service if not granted by an English-language institution), and a statement of financial self-sufficiency. In its efforts to maximize the presence of underrepresented groups, the Eller MBA Program attends regional and national job/recruiting fairs organized by National Society of Hispanic MBAs (NSHMBA), Society of Hispanic Professional Engineers (SHPE) and National Society of Black Engineers (NSBE). In addition, the Eller MBA program is listed in Hobsons' Black MBA and Hispanic MBA Students' Guides and maintains partnerships with the Association of Latino Professionals in Finance and Accounting (ALPFA). It also participates in on-campus recruitment fairs geared toward underrepresented minority students. The Office of Career Management aims to provide highly personalized service to each individual student, in the process of helping them plan and achieve their career goals. The office organizes five annual job fairs on campus, networking events with alumni, compa­ny visits, and financial support for students who want to go to national MBA job fairs. The office further supports students in their job search through professional development workshops, interview preparation, resume preparation, and professional mentoring. Companies most likely to hire Eller MBAs include Emerson, Deloitte, Discover, AT&T, Intel, Henkel, Bard, Roche, PetSmart, US Airways, Raytheon, Sandia National Labs, APS, Solon, PricewaterhouseCoopers, and WalMart. The University of Arizona’s Eller College of Management offers an AACSB-accredited MBA designed around your goals. Small class sizes allow the Eller MBA staff and faculty to spend time understanding your objectives, then tailoring meaningful projects, internships, and independent study around those goals, ultimately facilitating the transition into your desired career path. The Eller MBA is a recognized leader in management information systems and tops national rankings in entrepreneurship through its McGuire Center for Entrepreneurship. Arizona recently launched a professional chapter for Association of Women MBAs in Phoenix. The Eller MBA NAWMBA student chapter hosts a state-wide networking event annually each spring in the Phoenix market to connect with business women and MBAs from all universities throughout the state. Want more info about University of Arizona, Eller College of Management Part Time MBA? Get free advice from education experts and Noodle community members.